John Joseph Adams worked as an assistant editor at The Magazine of Fantasy & Science Fiction from 2001 until December 2009 and he is the editor of Fantasy Magazine and of the online science fiction magazine, Lightspeed Magazine. 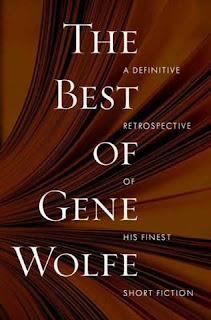 His prolific editing career can also be seen in the eight anthologies he published from 2008 until now, the first, “Wastelands”, on January 2008 and the last, “The Way of the Wizard”, on November this year. 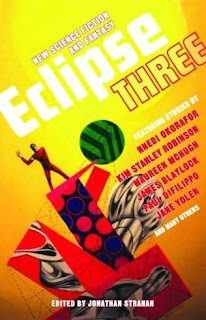 Night Shade Books will release on January 2011 another very interesting anthology edited by John Joseph Adams, “Brave New Worlds”. The concept of “Brave New Worlds” is truly catching and appealed instantly to me and as John Joseph Adams used the readers, the line-up of authors for this collection of stories is impressing. In his smash-hit anthologies Wastelands and The Living Dead, acclaimed editor John Joseph Adams showed you what happens when society is utterly wiped away. Now he brings you a glimpse into an equally terrifying future -- what happens when civilization invades and dictates every aspect of your life? From 1984 to The Handmaid's Tale, from Children of Men to Bioshock, the dystopian imagination has been a vital and gripping cautionary force. 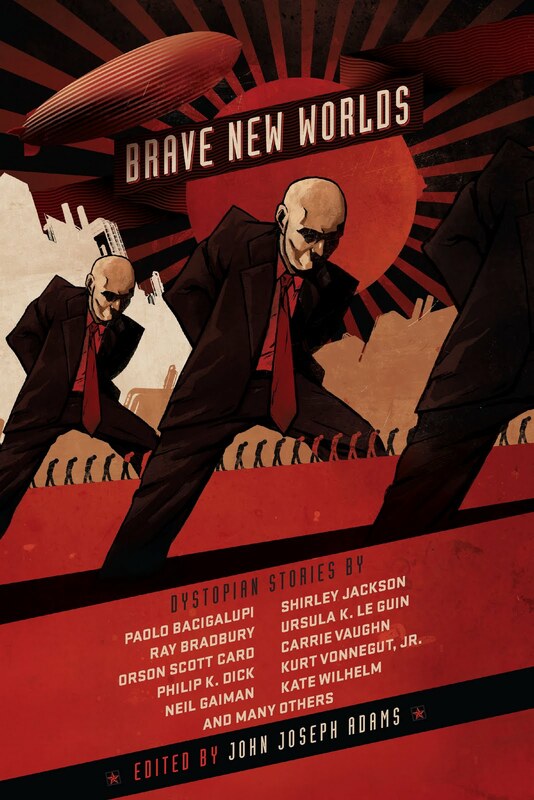 Brave New Worlds collects 33 of the best tales of totalitarian menace by some of today's most visionary writers, including Neil Gaiman, Orson Scott Card, Kim Stanley Robinson, and Ursula K. Le Guin. - “Harrison Bergeron” by Kurt Vonnegut, Jr. Although I am very familiar with the Greg Bear’s name I cannot say the same about his works since I didn’t read any of his books. Yesterday, on the Orbit Books’ website I found the catchy trailer of the latest Greg Bear’s novel, “Hull Zero Three”. More than the trailer, the book synopsis sounds really interesting, and both of them got me thinking if not “Hull Zero Three” is an excellent reason for me to start exploring Greg Bear’s works. The US edition of Greg Bear’s “Hull Zero Three” was released by Orbit Books on November, 22nd, and the UK edition will be released by Gollancz on March 2011. A starship hurtles through the emptiness of space. Its destination - unknown. Its purpose? A mystery. Its history? Lost. Now, one man wakes up. Ripped from a dream of a new home, a new planet and the woman he was meant to love in his arms, he finds himself wet, naked, and freezing to death. The dark halls are full of monsters but trusting other survivors he meets might be the greater danger. All he has are questions: Who is he? Where are they going? What happened to the dream of a new life? What happened to the woman he loved? What happened to Hull 03? The Russian fairy tales enriched my childhood and infused my dreams with wonderful stories. There were a couple of characters from those fairy tales who rather haunted my dreams than make them more pleasant, but strong characters nonetheless. Among them, Koschei the Deathless. 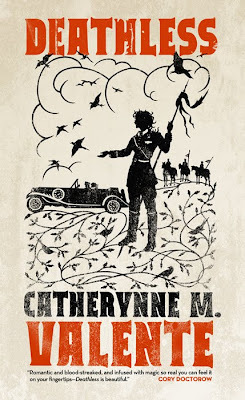 Catherynne M. Valente will release in 2011 a new novel, “Deathless”, which from the information I found on the author's website it is a retelling of Koschei the Deathless and Marya Morevna fairy tales. 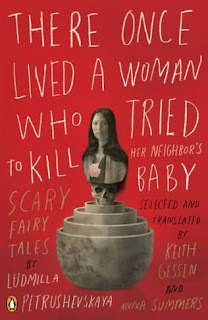 Since I loved the Russian fairy tales and later on I found Koschei the Deathless to be a very interesting character, I am looking forward to the Catherynne M. Valente’s retelling of these stories. Until Tor Books releases “Deathless” on March 2011 we can take a look at the cover artwork, revealed on Tor.com by the excellent art director of Tor Books, Irene Gallo. The cover made by Beth White proves, not that such a demonstration is needed, that a black and white artwork works perfectly on a book cover as well. Looking over the artwork of “Deathless” I believe that it even beats many, more colorful, covers. Beth White’s cover makes me also even more curious about the Catherynne M. Valente’s novel and I would certainly pick a copy for reading when “Deathless” will be available. Among the fantasy series that I loved a lot Brian Ruckley’s “Godless World” can be found. “Winterbirth”, “Bloodheir” and “Fall of Thanes” took me into an interesting and catchy setting and captured my attention with a gritty story, some excellent battle scenes and a few very strong characters. Since then I wished to read more of Brian Ruckley’s stories, those that he will write, because after all “Godless World” is his debut series. 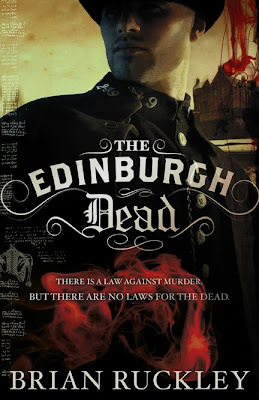 Such an occasion will arise next year when Orbit Books will release Brian Ruckley’s new novel, “The Edinburgh Dead”. It is a shift from the “Godless World” novels, but that is not a problem, Brian Ruckley’s style appeals to me and his new novel looks to be interesting. 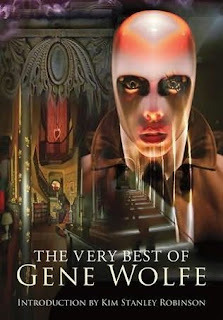 Mixing real history and historical figures with magics and conspiracies, this novel imagines the Edinburgh of 1827, populated by mad alchemists who treat Frankenstein as textbook rather than novel, and by a criminal underclass prepared to treat with the darkest of powers. 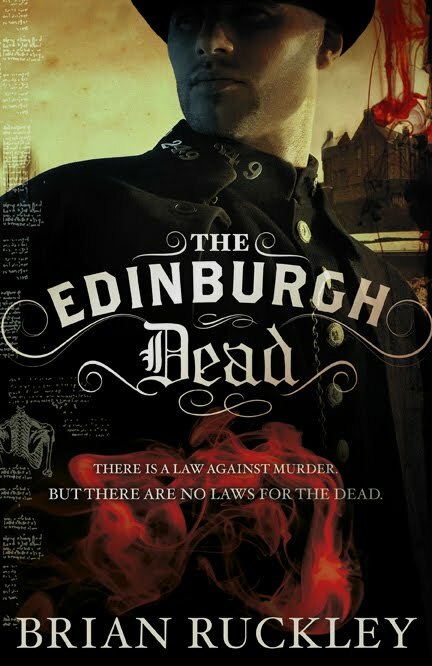 The plot follows the progress of an officer of the recently formed Edinburgh City Police as he follows a trail of undead hounds, emptied graves, brutal murders and mob violence into the deepest and darkest corners of Edinburgh’s underworld – both literal and magical – and back again to the highest reaches of elegant, intellectual Edinburgh society. Kalpa Imperial is the first of Argentinean writer Angélica Gorodischer’s nineteen award-winning books to be translated into English. In eleven chapters, Kalpa Imperial’s multiple storytellers relate the story of a fabled nameless empire which has risen and fallen innumerable times. Fairy tales, oral histories and political commentaries are all woven tapestry-style into Kalpa Imperial: beggars become emperors, democracies become dictatorships, and history becomes legends and stories. But Kalpa Imperial is much more than a simple political allegory or fable. It is also a celebration of the power of storytelling. Gorodischer and acclaimed writer Ursula K. Le Guin, who has translated Kalpa Imperial, are a well-matched, sly and delightful team of magician-storytellers. Rarely have author and translator been such an effortless pairing. Kalpa Imperial is a powerful introduction to the writing of Angélica Gorodischer, a novel which will enthrall readers already familiar with the worlds of Ursula K. Le Guin. Angélica Gorodischer is considered to be one of the three most important woman writers of the Spanish language science fiction, has published more than 19 novels and collections of short stories and has a multiple awarded career behind her. “Kalpa Imperial” was originally published in 1983, its first part, and in 1984, both volumes together. It is the only work of Angélica Gorodischer translated into English, by the well-known Ursula K. Le Guin, and published in 2003 by Small Beer Press. “Kalpa Imperial” cannot be define as a novel exactly, the volume containing eleven stories independent of each other, but which together take into perspective the history of a nameless empire. The volume spans on a long period of time and this fact is shown even from the title of Angélica Gorodischer’s novel, kalpa being a Sanskrit word that defines a long period of time in Hindu and Buddhist cosmology and spanning for about 4,3 billion of years. But as we can see from the first and last stories of the novel it is not the only period of time when the empire existed, it has a prior existence felt in the first story and it enters into a step of its existence with the end of the last story. Angélica Gorodischer’s “Kalpa Imperial” cannot be defined as the pure fantasy either, there is no magic present and the world is created with the help of the story, without going deeper into unnecessary or burdening details. The stories of “Kalpa Imperial” take the reader into a journey not only through the history of the empire, but mainly through the human factor. The rulers are succeeding to the throne, due to different events and personal actions, but neither of them acts badly for the sake of negative actions. They act according to their beliefs, to their own set of moral codes and to their greater or smaller benefits. The novels features also events that change the rulers of the empire, circumstances that lead to a new way for the empire and a smaller history that imitates on a smaller scale the rise and fall of the entire empire. “Kalpa Imperial” feels like a non-fiction, not in the way of collecting historical facts in a cold and distant manner, but in the pleasant and comfortable display of “One Thousand and One Nights”, with the moral conclusions resulting from here. Actually, I believe that I am wrong, there is magic in Angélica Gorodischer’s “Kalpa Imperial”, the magic of the language. All the stories are narrated by a storyteller and the technique is such wonderfully used that the readers almost feel the presence of the storyteller and an intimate connection to the stories. Because the presence of the storyteller is almost alive the reader constantly feels the tone of the stories and the changes it suffers. The beauty of descriptions, the simplicity of the prose on some places, the cynicism, sarcasm and humor are all making the stories more colorful and vibrant. 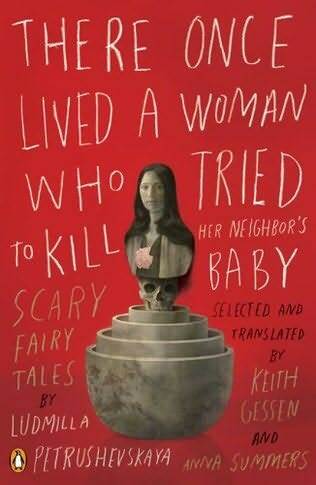 The humor of Angélica Gorodischer is even more present in the last story of the volume, where a story is told within the story and where we can discover well known names of movies and actors hidden in the houses and names of that tale’s characters and some events similar to ones of Roman and Greek mythology. It is a discovery as delightful as the story which is a part of. “Kalpa Imperial” suffers a bit from the names the readers encounter within the novel. 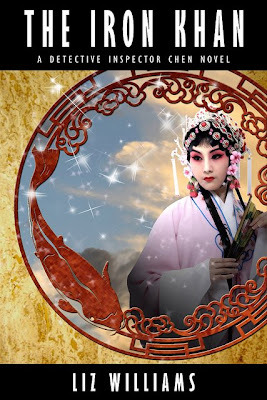 Characters and dynasties often have names long and confusing. Although many of the stories work as an allegory or a political comment and the names might not be very important, I still stumbled a bit over them in Angélica Gorodischer’s novel. Also, as I said the novel describes events from an empire history through eleven different stories, but taken all into account in one bite might prove difficult to digest. Instead, reading patiently one story at a time and rummaging them carefully will make the volume more satisfying. In the book’s presentation we can read that “Kalpa Imperial is the first of Argentinean writer Angélica Gorodischer’s nineteen award-winning books to be translated into English”. Sadly, seven years after its publication it is the only one available in English. The situation is so much unfortunate because “Kalpa Imperial” proves that the English market, and not only, has nothing but to gain from the translation of Angélica Gorodischer’s works. After Aliette de Bodard made a book trailer for her debut novel, “Servant of the Underworld”, she now made another one for her second novel, “Harbinger of the Storm”, due to be released by Angry Robot Books on January 2011. I’ve started “Servant of the Underworld” last night and the early premises of the novel caught me. It seems that Aliette de Bodard's “Harbinger of the Storm” sounds equally intriguing. 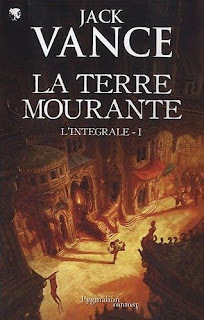 Lately, I return very often to the French cover artwork and how can I not since the work of the art departments of the French publishers is truly amazing. This time we have a cover from the publisher Eclipse, made for the French edition of Jaida Jones and Danielle Bennett’s debut novel, “Havemercy”. The cover artist is none other than Kekai Kotaki, one of the best fantasy artists of today, and who put his talent to excellent work once again. 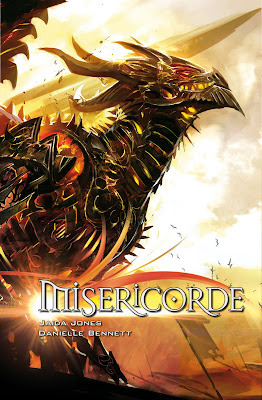 I didn’t read Jaida Jones and Danielle Bennett’s novel, but since I know that we do have some mechanical, magic-fueled dragons within “Havemercy”, I believe that Kekai Kotaki’s cover is truly appropriate for the book. “Miséricorde” (Havemercy) will be released by Eclipse in France this week, on November 19th. 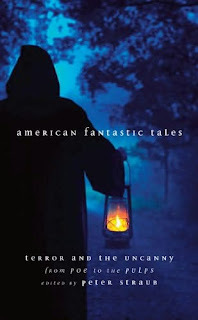 This month Stephen King released a new collection of four novellas, “Full Dark, No Stars”, and Hodder & Stoughton, the publisher of the UK edition of the book, together with the film company Future Shorts made four trailers for each of the four novellas in “Full Dark, No Stars”. All four of them give a wonderful sense of the Stephen King’s novellas, creepy and casting a strange aura, making me very eager to read these stories. Here is the first trailer in the series, but on Hodder’s website you can find links to all the four trailers made for the Stephen King’s book. It has been a while since I didn’t read any Stephen King, but now I believe that “Full Dark, No Stars” gives me enough reason to return to one of my favorite writers. 'I believe there is another man inside every man, a stranger...' writes Wilfred Leland James in the early pages of the riveting confession that makes up '1922', the first in this pitch-black quartet of mesmerising tales from Stephen King, linked by the theme of retribution. For James, that stranger is awakened when his wife Arlette proposes selling off the family homestead and moving to Omaha, setting in motion a gruesome train of murder and madness. In 'Big Driver', a cozy-mystery writer named Tess encounters the stranger is along a back road in Massachusetts when she takes a shortcut home after a book-club engagement. Violated and left for dead, Tess plots a revenge that will bring her face to face with another stranger: the one inside herself. 'Fair Extension', the shortest of these tales, is perhaps the nastiest and certainly the funniest. Making a deal with the devil not only saves Harry Streeter from a fatal cancer but provides rich recompense for a lifetime of resentment. When her husband of more than twenty years is away on one of his business trips, Darcy Anderson looks for batteries in the garage. Her toe knocks up against a box under a worktable and she discovers the stranger inside her husband. It’s a horrifying discovery, rendered with bristling intensity, and it definitively ends 'A Good Marriage'. Portugal's largest fantasy and science fiction convention, The Fórum Fantástico 2010, is getting ready to open its doors to thousands of fans in Lisbon this weekend 12th-14th November. The two Guests of Honour being flown in this year are the British fantasy author Stephen Hunt, and American fantasy author Peter V. Brett. The three-day event also includes many Portuguese fantasy and science fiction authors & comic-book creators and artists, including Ricardo Pinto, David Soares, Afonso Cruz and João Pedro Duarte. The event is being held in Portugal's capital in the stunning Biblioteca Municipal de Telheiras (state library). Stephen Hunt was first published in 2007 after a fiercely fought auction for his debut fantasy novel, 'The Court of the Air'. The success of ‘The Court of the Air’ (it’s still the only debut fantasy novel to be given mass-market distribution by Tesco) helped kick-start a now rapidly growing sub-culture known as steampunk, with a slew of novels in the genre following in Hunt’s foot-steps on both sides of the Atlantic. Books in Stephen's series include ‘The Court of the Air, ‘The Kingdom Beyond the Waves’, ‘The Rise of the Iron Moon, ‘Secrets of the Fire Sea’, ‘Jack Cloudie’ (pub: 2011), and a 6th as yet untitled work in the series due for publication in 2012. The Jackelian series is published in the UK, Canada, Australia and New Zealand by HarperCollins; the USA by Tor; and as foreign language editions by various publishers in Japan, China, Russia, France, Germany, Portugal and Spain. Peter V. Brett is an American writer of fantasy novels. He is the author of the ongoing 'Demon Series', whose first volume 'The Painted Man', was first published in the United Kingdom by HarperCollins's Voyager imprint in 2008. The book is known as 'The Warded Man' in the United States where Del Rey Books published it. The first novel in Peter's Demon Series introduces a world formerly the home of an advanced human civilisation, now reduced to a 'dark age' by the attacks of demons, known as 'corelings'. The corelings are powerful beings, with magical abilities and differing elemental natures, and each night emerge from the planet's core to feed on humans. The story is told from the perspective of three main characters, Arlen, Leesha and Rojer, showing their passage from childhood to maturity and the beginning of their individual quests to bring an end to the terror that has befallen humankind. Each character possess differing talents, which develop across the tale, and will become key in the ongoing struggle. During the event a Fair of Fantasy Book will be available, managed by the Dr.Kartoon bookshop, and with stands of Saída de Emergência publishing house and Runadrake game publisher. 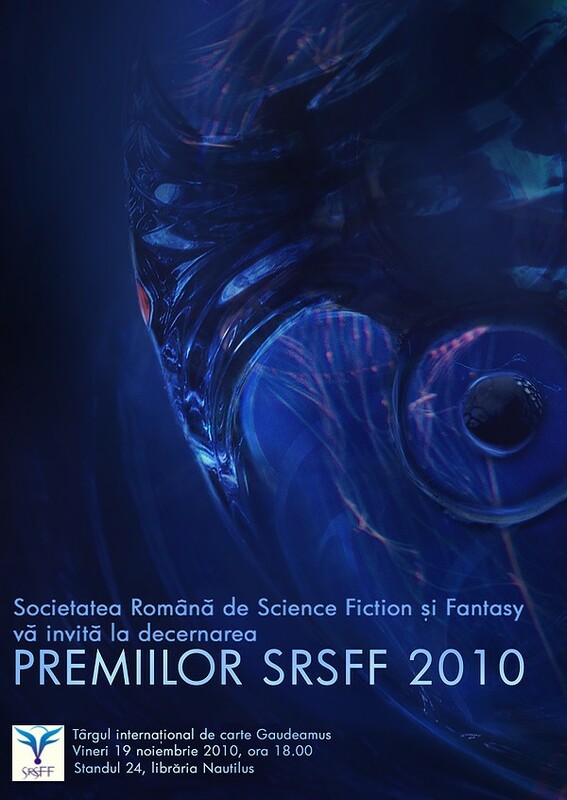 Visit the convention's web site at http://forumfantastico.wordpress.com/ for more details of Fórum Fantástico 2010. I would love to take part to this convention, not only because the event looks wonderful, but also because Portugal is a very beautiful country and Lisbon is an amazing city. InterNova is an offspring of the German science fiction magazine Nova. Founded in 2002, Nova was intented to be a long-term forum for current German language science fiction. Part of our concept was to include in each isseue an interesting classic reprint or a translated story by a foreign guest writer. Famous writers such as Greg Egan or Brian Aldiss were so kind to contribute short works. When researching for stories outside of the Anglo-American world we found that there are much more interesting science fiction all over the world than we could publish in Nova. Thus the idea of an international edition was born. 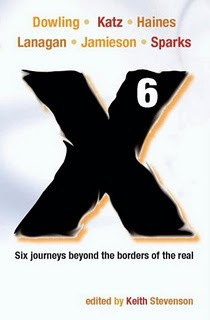 In spring 2005 the fist issue of InterNova was published. Since Frederik Pohl’s short-living International SF in the late sixties, which lasted only for two issues, a truly international science fiction magazine has never been attempted again. InterNova was not lucky either: despite good critics the sales were so low that the magazine had to be discontinued before the second issue was in print. Not willing to give up the idea of an international sf magazine completely, however, editor Michael K. Iwoleit decided to relaunch InterNova as an e-zine. InterNova already features non-fiction articles by Richard Kunzmann, Lavie Tidhar, Roberto de Sousa Causo and Daniel Salvo, a classic section where we can find the stories of two Italian writers, Lino Aldani (Red Rhombuses) and Renato Pestriniero (The People in the Painting), and the fiction section which features the short stories of Gerson Lodi-Ribeiro (Brazil, Peak Time), Eduardo J. Carletti (Argentina, God’s Gut), Arthur Goldstuck (South Africa, The Fabulous Yesterdays), Aleksandar Ziljak (Croatia, What Colour Is the Wind? ), Eric Brown (England, Thursday’s Child), Sven Klöpping (Germany, Let’s Talk About Death, Baby), Roberto de Sousa Causo (Brazil, The Most Beautiful Woman in the World), Pasi Ilmari Jääskeläinen (Finland, Those Were the Days), Anil Menon (India, Vermillion), Yan Wu (China, Mouse Pad), Milena Benini (Croatia, As Time Goes By), Guido Eekhaut (Belgium, A Conspiracy) and Vandana Singh (India, The Tetrahedron). What if Alexander Nevsky had never defeated the teutons? What if Hannibal had conquered Rome? What if Peter III had ruled Russia and not Catherine the Great? And, at last, what if France had been a part of the British Empire ruled by George V and all the French had bathed in pubs? Only the modifiers know the answers to these four questions. The history modifiers, those who can influence the events… Is it so? Liviu Radu tries to discern, in this volume, the tangled threads of the history we think that we know. 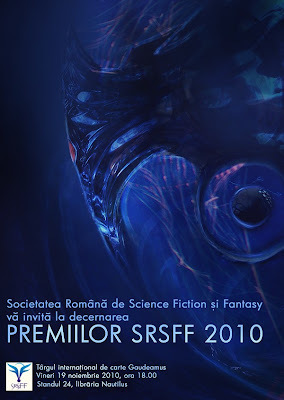 It is difficult to talk about the Romanian horror fiction, mainly because it barely exists. It is difficult to make references to past Romanian horror titles and even more difficult to find modern ones. Trying to bring a change in this bitter state of things is Oliviu Crâznic, who makes his debut with a gothic novel, “… şi la sfârşit a mai rămas coşmarul” (… and at the end remained the nightmare). 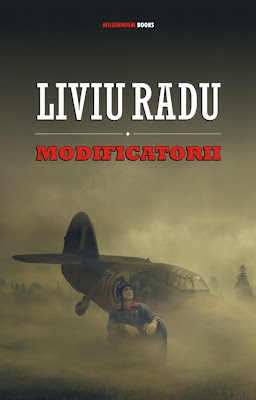 Considering the tremendous efforts and the courage of Oliviu Crâznic to write and Vremea Publishing to publish such a novel on a market that seems a bit too conservative my mission becomes ingrate, because my experience with the book is not among the fortunate ones. Oliviu Crâznic chooses to make his debut with a gothic fiction, a sub-genre that it is rather dead on the outside markets, but I do not have a problem with. It is true that we are a little late to this party, but it is a party which was attended by heavy names, such as Edgar Allan Poe, H.P. Lovecraft, Clark Ashton Smith, Robert E. Howard or Shirley Jackson to name a few. The story is told in the first person perspective and the character who tells the story is Arthur de Seragens. Arthur is invited to a wedding, but he finds the invitation strange and the company even stranger. The events that occur will turn out to be not only strange, but horrifying. Besides Arthur de Seragens the reader meets from the early stage a large cast of characters and that proved to be a challenge for me from the start. The story takes each into account but nothing in the beginning helped me to identify every character properly. Contributing to the confusion are the titles of each character, cavalier, count, viscount, baron or duke, deepens the state of confusion I was in. Especially since not always the title goes with the name and therefore at the start I had to go back and forth in order to make a hold on the characters. Because of the large cast, the characters fail to properly develop too. I couldn’t find any strong presence with the cast, the positive or negative ones looking flat and making me totally indifferent to their eventual destiny. There were a couple of things about the characters that didn’t hit me in the proper way either. For example, there is a reference to something in Arthur’s past for which I couldn’t find any relevance within the story. Also at some points some of the characters court each other although I believe that the events around them will rip away any desire for romance. The wedding party is held in a castle, The Castle of Last Towers, near the village of Nuit-aux-Bois (which can be approximately translated as Night in the Woods) and Oliviu Crâznic manages to create a dark setting for his novel. The descriptions of the castle together with the pieces of information from its past create a chilling atmosphere, a proper setting for this gothic story. Unfortunately, there are descriptions that will warm the atmosphere back up and will take away the tension from the story. 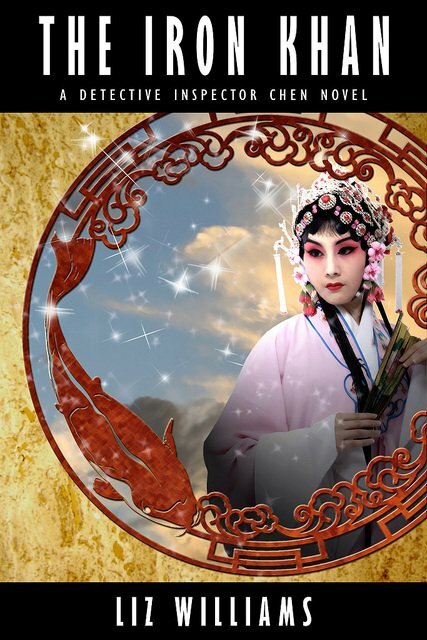 The author gives too much attention to the attire and jewelry of the characters. I am not saying that there is no need for these details, but if I go through every piece of clothing the characters wear there is the risk of feeling myself at a fashion show rather than in the presence of supernatural events that induce tension and discomfort. The author makes constant promises of the events and horror to come with almost every chapter, but he doesn’t manage to deliver the tension and the terror as often as it is promised. There are a few tensioned and grotesque scenes, with a bit of action and surprising turn, but not enough for a supposed edgy novel. There is one chapter though, the best by far, the one involving a burning on a stake, dramatic, tensed and involving quite a lot of human error. If I come to think of it, I believe that the novel would have benefited from more of such moments. I mean there is human error at almost every step, but totally misplaced since the characters fail to find the responsible for the events around them until the respective is the last one left from the suspects. This proved to not be much fun for me. There is another thing that bothered me constantly. The characters make references to Slovakia throughout the story, but I am not sure that Slovakia existed under this name in the medieval times. I am no historian, but looking for information I could find that the territories of modern Slovakia were part of other empires at the time of the story. So it feels a bit strange to refer to it as Slovakia. Or so I believe. 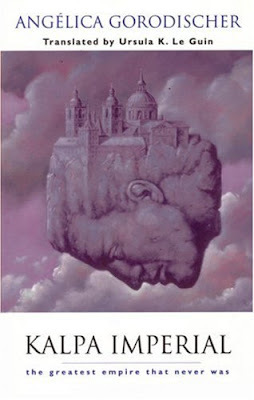 Finishing Oliviu Crâznic’s novel I discovered a very interesting and quite uncommon element of it. The volume ends with an afterword written by the author that lengths almost as much as half of the novel. Although a bit strange for me I have to say that this is the part I enjoyed from this book. 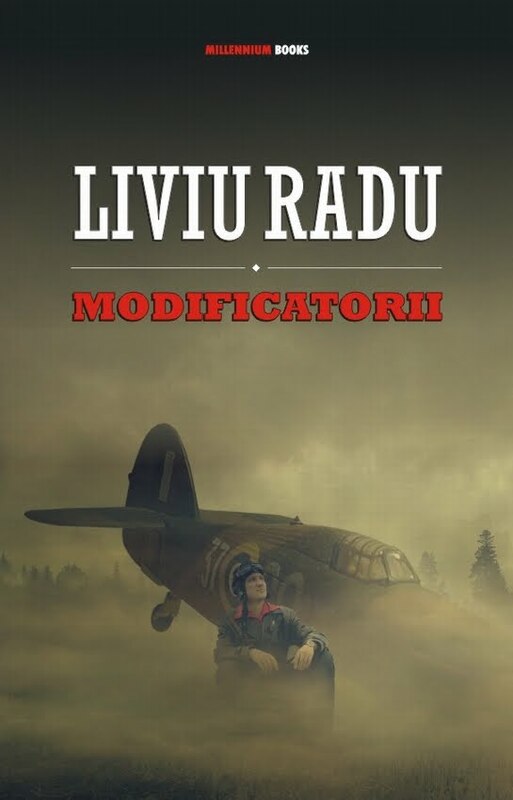 The afterword shows a lot of commitment from Oliviu Crâznic for his novel, a documentation thoroughly and carefully made, with very interesting facts and stories. Unfortunately, those proved to be more interesting for me than the actual story written by the author. 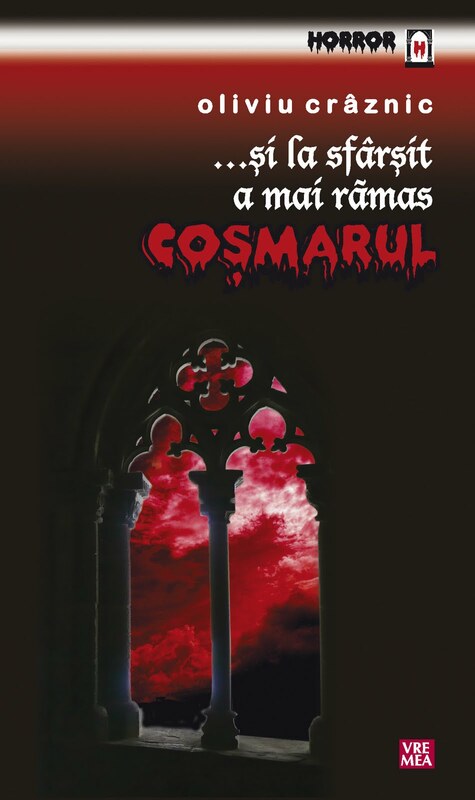 I am sorry that my review turned out as it is, because Oliviu Crâznic and Vremea Publishing made a praiseworthy effort, “… şi la sfârşit a mai rămas coşmarul” (… and at the end remained the nightmare) being the first step for the modern Romanian horror fiction. But sadly, I cannot shake the feeling that this novel is not exactly the proper way to encourage the Romanian horror fiction. Since I’ve talked about Marc Simonetti’s works and new blog this week, here is one of his latest cover artworks. 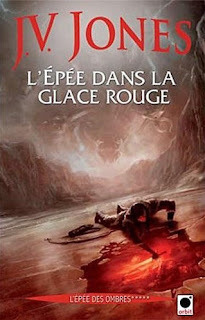 I mentioned in Marc’s blog presentation about the cover artwork he made for the French edition of Ken Scholes’ “Lamentation” and we can see now the cover artwork for the second novel in Ken Scholes’ “Psalms of Isaak” series. 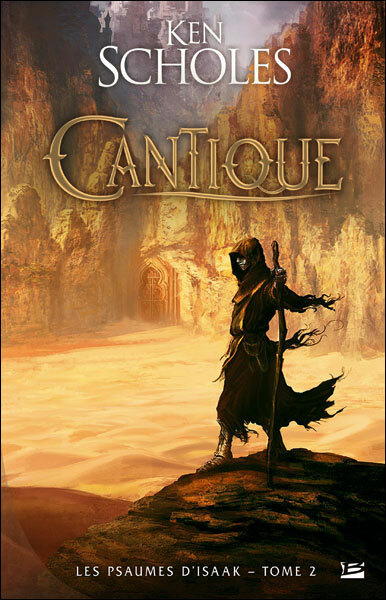 “Cantique” (Canticle) will be released by Bragelonne on November, 19th and once again the French edition has an excellent cover artwork. 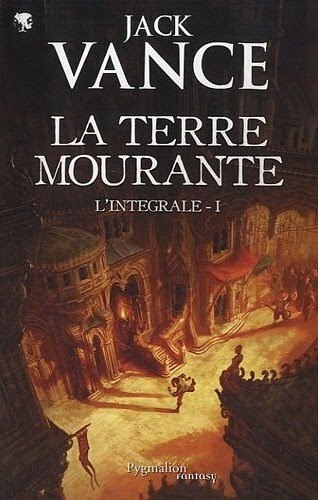 The details on the background of Marc Simonetti’s artwork, the warm colors that the predominate the cover and the central figure, a cloaked one true, but one that doesn’t steal anything from the viewer and reader imagination, make this book cover another good example of how a book can catch the attention of a reader who wanders the bookshop aisles. The Portal is a free, volunteer-run, online review of short-form science fiction, fantasy, and horror from around the world. We review work in English and also provide English-language coverage of short fiction markets, anthologies, and genre literary activities in many language communities. We concentrate on short-form fiction for several reasons. First of all, short fiction is a prime place for new writers to develop their artistry and discipline. It’s also a source of development for editors and publishers, who can learn to work with authors, build their business skills, and make a reputation. Finally, the abbreviated length of short fiction makes it conducive to translation. Our mission is to benefit authors, editors, bureau heads and reviewers, and fans around the world. - Authors will gain public feedback on their work, increased exposure, and usable pull-quotes. - Editors will get a quick way to survey their field and experience work in other languages. - Bureau heads and reviewers will have a venue in which to share insights, build their portfolios, explore new work, and keep their critical skills sharp. - Fans will have a place to read about work released in languages they may not know. The first post on The Portal was made half a month ago, but already the articles on the site are very interesting and they captured my attention instantly. We already can find reviews of a few magazines such as Ideomancer, Bull Spec, Strange Horizons, Fantasy and Science Fiction and Sybill’s Garage, but also a Russian science fiction magazine, Polden. Also, The Portal reviews “Paraíso Líquido” (Liquid Paradise), a collection of short stories by the Brazilian writer Luiz Bras and “Mount København”, the debut book of the Danish writer Kasper Collins Nielsen and has articles about the speculative fiction of Denmark, France and Bolivia. The Portal is already proving to be an excellent source of information and reviews, but also a place that hopefully will encourage the translation of the writers outside the English language too. Marc Simonetti is one the best fantasy artists, one that continues to impress with high standard works. Marc Simonetti also gave life to many amazing covers with his artwork, books that are complemented by his works. It is true that mainly the French editions benefit from Marc’s work, but I hope that someday the other editions will have the same benefit too. We have seen in the past Marc Simonetti’s works on the covers of the French editions of George R.R. Martin’s “A Song of Ice and Fire” series, Patrick Rothfuss’ “The Name of the Wind” or Ken Scholes’ “Lamentation” as a few examples, but also new ones such those above for Jack Vance’s “Dying Earth” books, J.V. 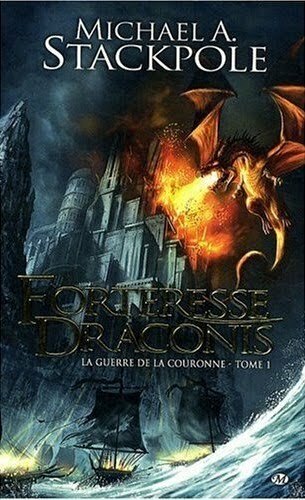 Jones’ “A Sword from Red Ice” or Michael A. Stackpole’s “Fortress Draconis”. After having the pleasure to interview Marc Simonetti here on my blog, now I am happy to spotlight his newly created blog. I am happy to see Marc’s blog because it is great to be updated with his works, especially since Marc posts about his latest cover artworks, for Terry Pratchett’s “Discworld” series of novels for example, videos showing us an insight in the process of creation and an update of his other works. It is an excellent place to visit and enjoy. This week-end, at the World Fantasy Convention held in Columbus, Ohio, the winners of the 2010 World Fantasy Awards have been announced. As we can see, after being nominated for the 2009 Nebula Award and winning the 2010 Arthur C. Clarke Award, the 2010 Hugo Award and the 2010 BSFA Award for best novel, China Miéville’s “The City & The City” was awarded with the 2010 World Fantasy Award for the Best Novel too. 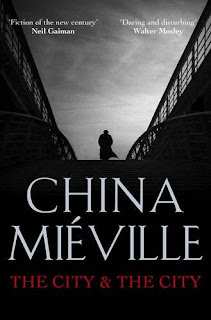 To see China Miéville’s excellent novel on the winning list is not a surprise anymore, but it still gives me the same delight, because “The City & The City” is indeed a wonderful book.